I see such comments repeatedly but in all my years of buying CDs (among other things) from Amazon, I don't recall one being damaged in the least bit and certainly no CD has required a return. Rather than call these comments hyperbole though, I'll just assume that some people have lots of bad luck. Sorry that's not been my experience at all. I never return them but have a good supply of replacement cases. When was your last purchase? I too, had good luck a few years back, but of the last 47 CD purchases, 32 have arrived with cracked or broken jewel cases. I have only returned two though, as one had the wrong CD in the correct case and the other had booklet pages glued together. I replace the cases with new on my own dime. I still buy from them due to price and convenience and also because I am a sucker I guess. George McClellan, PhantomStranger and Spitfire like this. I had a bad run with Amazon packaging earlier this year (Jan to Apr ish). I actually stopped ordering from them for a while but recently ordered a few LP's from them. They were packaged well versus having a shipping label stuck on the cellophane wrap that I had experienced with several shipments earlier this year. Not sure if my bad luck was a "blip" or if they tried to cut back on shipping costs and figured out it wasn't working for them. If you get a cracked jewel case from Amazon you can e-mail customer service and ask for a discount. I usually get at least a 25% discount. It covers the cost of the replacement case at least, if everything else looks good. Runicen and Spitfire like this. Good to know but I wonder if they keep score of this stat like returns? I would not want to risk getting jettisoned from purchasing for a cracked case claim. My drawer, full of replacement jewel cases goes back so far, at this point, I consider them as free as the air I breathe. I can't imagine complaining about such a simple thing. The way I look at it, you need to complain because it gives Amazon financial incentive to ship in better packaging. So the last 3 packages from Amazon have been tossed over the fence. It's a 4 foot high chain link fence with a gate. Previously all the packages were left in front of the door, which is 25 feet from the gate. The gate is not locked. (unless the driver can't figure out how to open the gate?) 2 of the 3 packages were LPs. It's been very sunny lately, so the packages were left in the sun, verses being left on the porch near the door, which is shaded. Reported it to Amazon, but who knows if it helps or causes more bad behavior. I'm a Prime member, and an Amazon customer since 2007. That doesn't mean I believe any complaint of any size is actually being heard, let alone making any difference whatsoever. Millions and millions of Amazon customers, thousands of distribution centers ( several in my area alone ! ) tells me complaining about anything falls on deaf ears. I only have 3 open orders right now, and 2 of them are a single Blu ray. The third is the upcoming Big Pink box set, which I'm praying will arrive with no incident. In light of current album delivery complaints posted in the Amazon Deals thread, I won't be ordering any single albums from them, for the foreseeable future. PhantomStranger and George McClellan like this. The problem is that Amazon has gotten so big and taken up such a dominant role in online retail, they don't have to cater to customers anymore. Their business model could literally coast for several years on past exploits before it catches up with them. Galley, Runicen and Dave like this. Got another one today. Sent without a box major creasing on all 4 sides. Shrink wrap torn and thick black marks on the album where the shrink wrap is torn. What kind of idiot sends a $30 album this way. Inexcusable. Sorry for your misfortune. tmtomh and chromium like this. Jeezuz Murphy @chromium that's an ugly site! Sorry you had to go through that. Got on the phone to Amazon, third party seller but fulfilled by Amazon. Rep told me they were unable to get into the 3rd party seller’s system whatever that means and would not be able to send me a replacement. But I could get a gift card or cc reimbursement. I chose the latter. Told them I would return it the exact way it arrived as I didn’t have a box, then I was told I didn’t need to bother returning it. George McClellan, Dave, tmtomh and 1 other person like this. Probably the best move on your part IMO. That was pretty disgraceful looking with any excuse just not good enough. I'd be so embarrassed as a seller to ship either an LP or CD like that. I've written elsewhere that I received an album like that, I think last winter. Miraculously it came through practically unscathed. One corner had a slight ding and my rationale for keeping it was that the price and condition were such that I'd have bought it in a record store without question. Still, there is zero excuse for Amazon to ship vinyl in that manner. 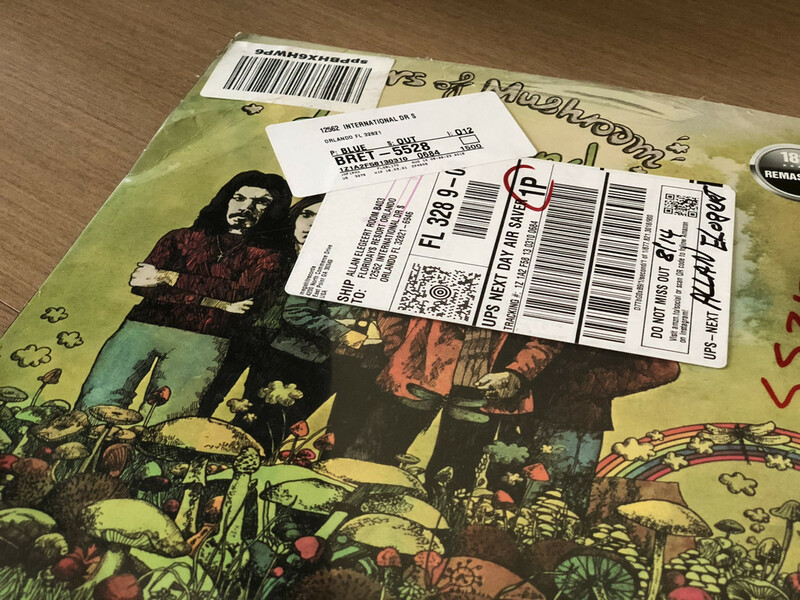 Records aren't a case of diapers where you can slap a label on the box and send it on its way. The last half-dozen albums I've purchased from Amazon including one that arrived today (Intervention Records' glorious pressing of Joe Jackson's Night and Day) have come in their standard LP mailer (which is pretty sturdy on its own) inside a larger box with airbags to absorb most of the empty space. 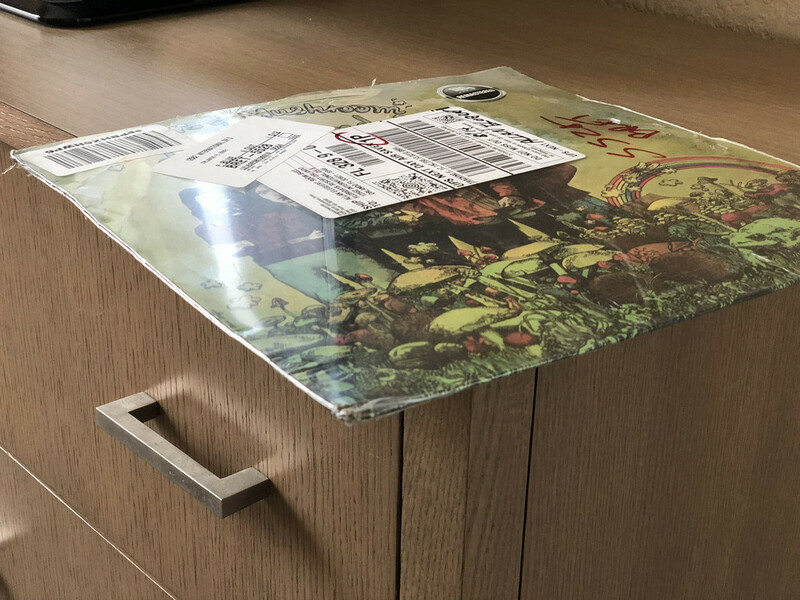 I got another LP delivered by Amazon today packaged in a gigantic box that could probably hold about 20 LP's with no padding or protection whatsoever. Got a 12" EP from Amazon yesterday. Top notch packing. 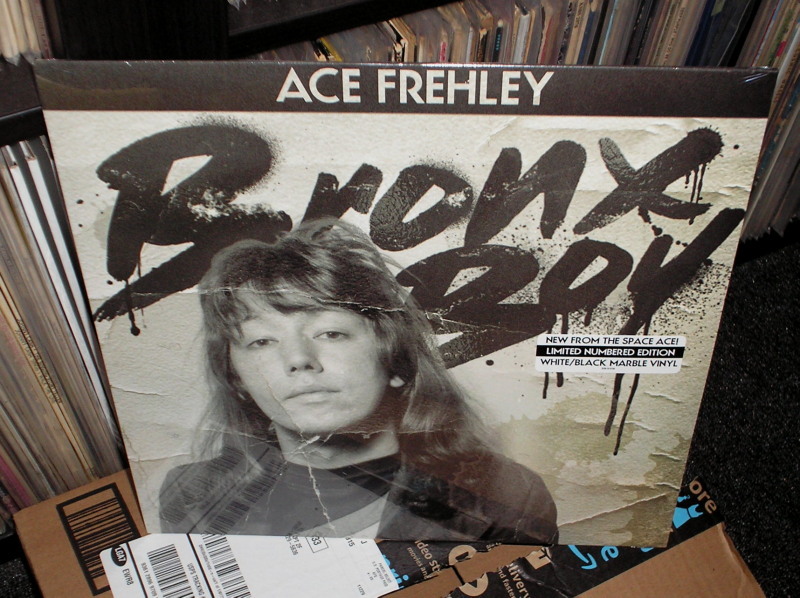 Inner cardboard sleeve made for LPs that protect all corners placed inside a larger box. No problems. Just returned a multi disc Blu-ray set which arrived in a flimsy envelope, when opened the case was smashed to pieces. The item was not "handed to resident" as they claimed, but shoved with great force through my letterbox. Cretins. For the first time in about five years, I received a single CD in an actual cardboard box and not one of their flimsy mailers. I have no idea why Amazon didn't bother getting CD-specific boxes - I know they are out there because the music clubs used to have them for most CD shipments. I recently got a CD in one of those too. I was pleasantly surprised. I figure they must cost more than the paper mailers which is why Amazon doesn't use them more often. My replacement set arrived...and yet again the same flimsy packaging and yet again it was thrust through the letterbox with force by anonymous courier. Left more feedback on Amazon, but what's the f***ing point really. At least the case was intact this time.